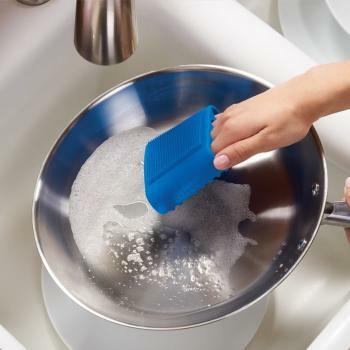 If you're looking for a tool that can help with a wide range of hard-to-complete household chores, the BUMP IT OFF silicone cleaning tool just might be the answer. With such a wide variety of uses, you'll probably decide you need several of these silicone cleaning tools in your gadget collection. Designed by the Goddess of Gadgets, this versatile tool makes easy work of many otherwise unpleasant and tedious cleaning tasks. 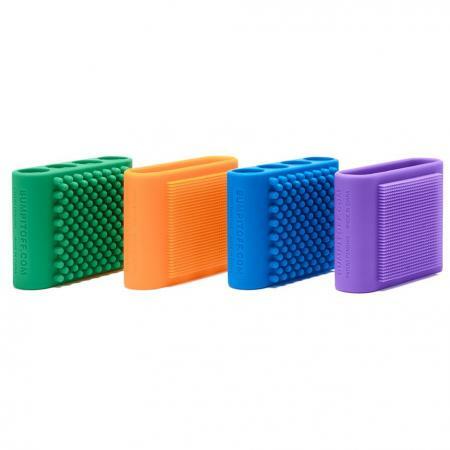 It fits perfectly and securely in the palm of your hand and is extremely easy to use. What intrigued me about the product at first is the fact that is can be used for pet grooming. I have found it to be very effective for that purpose. One of my dogs has an extremely thick fur that sheds constantly and comes off in clumps a few times each year. Her hair is so thick that traditional combs and brushes designed for dogs just don't work. The BUMP IT OFF tool does, though! 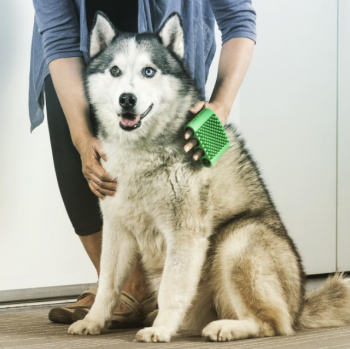 This tool is truly the best solution I have found for helping to keep her shedding under control. She also really seems to like it, as it doesn't pull or tug at her coat. I expect she just feels like she's getting petted for a long time when I use it on her. What could be better than that? This gadget can also be helpful for a wide variety of kitchen cleaning chores, from food preparation to after dinner clean-up. For example, you can rub down fresh fruits and vegetables to remove dirt and residue. You can also use it to slough off hard bits stuck to the bottom of your pots and pans or to make sure the holes in your colander are unclogged and clean. 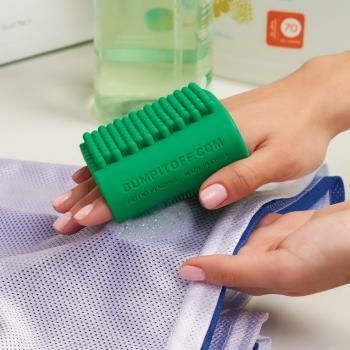 The BUMP IT OFF gadget can be really handy to have around when dealing with tough stains on fabric. After pre-treating clothing, apparel, drapery, carpeting, etc. with an appropriate cleaning solution, this tool can help you scrub stains away so the material looks like new (or it least like it did pre-stain). You can also use this cool tool in the shower or tub to exfoliate your skin. 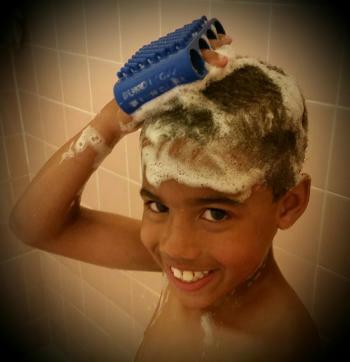 More durable and easier to keep clean than a loofah, it's a great way to keep your skin looking its best. It's also great for helping get kids to scrub themselves down properly when bathing, as they're likely to find it super-fun to use (much more so than a regular wash cloth!). This handy tool is easy to keep clean - just toss it in your dishwasher on the top rack when it's time to clean up your cleaning tool. Of course, if you're going to use BUMP IT OFF for more than one purpose, chances are you'll want more than one. It comes in several colors, so you might want to consider designating certain colors for specific purposes. Priced just under $10 on Amazon, it's affordable to get as many as you need! Note: The author received a free sample of this product for review purposes. The opinions provided here are her own.